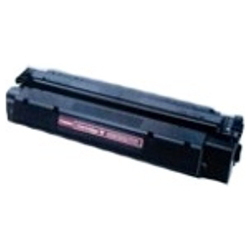 Purchase these cheap Canon CARTW Toner Cartridges at our wholesale LOW prices now! There is no need to spend large amounts of money when buying the original or compatible cartridges from traditional retail stores. It is simple to save money by placing your order with Ink Depot. For your peace of mind we offer a generous 90 day money back guarantee and purchases over $99.00 (including GST) will also receive free delivery. Canon CARTW Toner Cartridges are directly shipped to Brisbane, Melbourne, Sydney, Perth, Adelaide, Canberra, Newcastle and Sunshine Coast. Most major cities in Australia will experience same day or next day delivery when you order CARTW but we do recommend allowing 1-2 business days to receive your order. Check out the table below to see what printer(s) use CARTW Toner Cartridges. Most people want to verify their printer model and toner compatibility before buying, which helps prevent purchasing the incorrect toners. The following table shows each Canon printer model and the suitability of genuine and compatible cartridges. 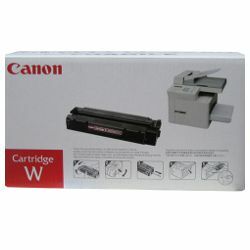 Why buy Canon CARTW Toner Cartridges from Ink Depot? We have over 10 years online trading experience and are growing fast - so when you buy Canon CARTW from Ink Depot you will be assured of Competitive pricing, exceptional customer service, Fast Express Overnight Delivery, a 90 Day Money Back Guarantee and Shopping Points for the money you spend with Ink Depot. All of our Canon CARTW prices include GST. We have the facility to generate a PDF quote option from our website itself, simply add your preferred products into the shopping cart, then go to shopping cart list page and click on the 'View Quote / Print' button. For security and spam prevetion reasons we require users to login to our website by using your existing login details or you can create a new account for free. We respect your privacy and will never sell or share your details with anyone.